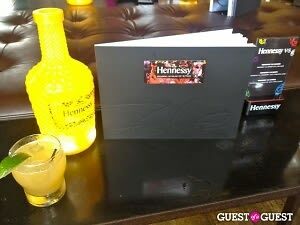 Hennessy And Futura Hit The District! 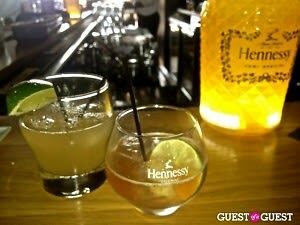 Hennessy V.S. and world renowned graffiti artist Leonard McGurr (commonly known as Futura) touched down in the District today to promote their new collaboration. Hennessy enlisted the New York based, street-art legend to design a limited edition Futura bottle, and it is pretty cool. Not only did we get our hands on one of these exclusive bottles (each bottle is individually numbered! ), we got the chance to chat with Futura himself about the Hennessy project, the press tour and what fans can expect next. 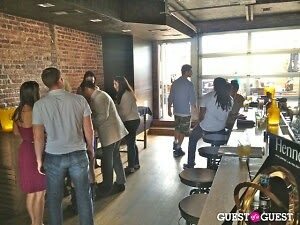 Today's festivities kicked off with an exclusive brunch at Smith Commons on H Street, NE. 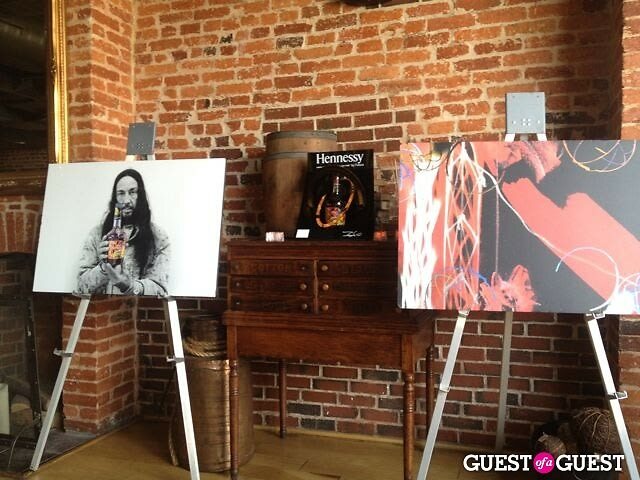 The venue's atmosphere was perfect and adorned with some of Futura's work, in addition to his Hennessy exclusives. Futura chatted individually with guests while VIP's and top media names brunched on a variety of munchies while sipping on special Hennessy cocktails. Our favorite was the Hennessy and Berry drink. Later in the day, Futura went over to Lions Fine Wine and Spirits to sign bottles and other paraphernalia for his fans. The DC tour will end tonight with a VIP launch party at one of the hottest nightclubs in the District, Eden Lounge. When we spoke one-on-one with Futura, he couldn't be more thankful for this opportunity to work with Hennessy. His biggest collaboration to date (he's also worked with Nike and Northface, to name a few), he is truly honored to be touring the country with Hennessy, and we had the chance to read about the entire process of production in the exclusive Hennessy/Futura coffee table book. Washington is the seventh stop on his national tour [GofG LA covered the initial launch] but Futura and his gang are heading home to New York soon after a quick stop in Miami. When describing his design for the Hennessy bottle, Futura pointed out how "the [shape of] bottle has a lot to do with it....and I used the cognac as a starting point and went with that." The artist was inspired by a broad color palette and used a lot of atomic-like elements to mark the label with recognition of his unique style. For Futura, his signature was also an important part of the bottle: his signature tag is a staple of the brand he has created as an artist over the past 40 years. And when asked about the future, the artist was adamant about there being much more in store. "Even though I'm Futura," he remarked, "I'm still looking forward....Futura is probably about 50% of who I am. I don't live in the identity bubble, there's much more out there....I have a very different view than when I was that 15 year old kid [painting] on a wall." In our opinion, "much more in store" is definitely an understatement. Futura just opened a studio exhibition in New York and is opening another in Hong Kong in January. 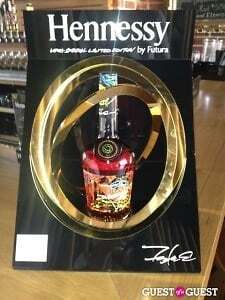 Hennessy is also taking Futura on an international tour to promote the bottle so he'll be on the road again in no time. In addition, Futura is putting out a new coffee table book that will "blow away" his previous book published in 2000. In his spare time? Futura is a huge MLB fan....and you'll be seeing a baseball book from him soon as well!